Where you stand Nationally or Internationally? There are currently 13,608 Internationally Ranked athletes whose 2K race times are posted on Concept2 for the 2018 current season ending April 30th, 2018. There are 26,374 athletes who have posted their 2K, 10K and 500 meter timesfor the current season. 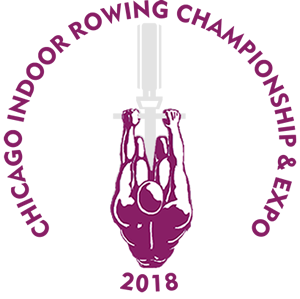 CIRC2018 2K, 10K and 500 meter times have been sent to Concept2 and Row 2K for inclusion. Racing was re-organized to maximize the numbers of personal records to be shattered. This years ranking and racing grouped everyone based solely on their 2K seed times hence the Men 2K Seed Race and the Women 2k Seed Race. When athletes took their seat, competitors on either side had similar seed times whether they be a Junior or Collegiate, a Veteran or Master athlete. It was our hope that this would motivate all athletes to outperform their ‘seed time’ and achieve a Personal Record. 83 Competitors - 42% - did just that and won their Personal Record Achievers Medal. After the dust settled, Medals were also awarded according to the traditional age categories. The following PDFs show the 2K Results by age category along with PR & PR Challenge notations. In the United States there are 1,476 athletes who have Verified 10K times posted on Concept2 for the 2018 season. There are 6,764 athletes posting 10K times worldwide verified and unverified. All 7 relays –men and women- were run together creating an excitement level never before experienced in 19 years of CIRC. The battle between the Junior Women of Y Quad Cities and the Collegiate Women of Illinois Rowing reached a fever pitch in the last 500 meters as both crews were neck-in- neck until the Illini crew crossed the finish line 6th tenths of a second before Y Quad Cities.. These 6 relays were also run together creating the same intense atmosphere. There are 2 major Dragon Boat Races in the Chicago area. The June 23rd Chicago Dragon Boat Race for Literacy at Ping Tom Memorial Park uses the traditional ceremonial boats dating from the 278 BC, seats 18 paddlers along with drummer and flag catcher. The July 28 th Chicago International Dragon Boat Festival taking place on Lake Arlington Park uses smaller boats seating 20 paddlers plus the drummer without a ‘flag catcher’. CIRC continues to grow as a respected and anticipated annual event. This would not be possible without the enthusiastic support from the individual competitors, coaches, volunteers and parents. You made this a truly a pleasurable event to host. Especially to Dr. Robert J. Szyman and the CSU Department of Health, Physical Education and Recreation and their continuing efforts to involve students not only as volunteers but also exposing them to the world of adaptive athletics.